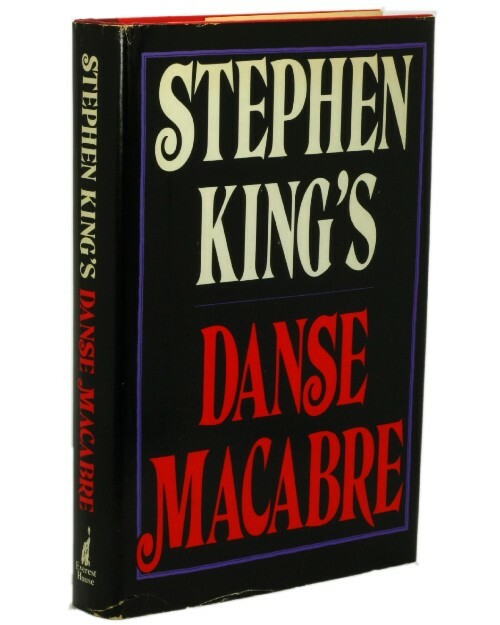 First, let me say that I agree with the estimable Mr. Chizmar that Danse Macabre is truly one of Stephen King’s most underrated books. Of all of King’s canon, it’s the one book I have read, and reread, with the most pleasure over the ensuing decades. I always take something new away from it, whether it be a renewed interest in an old favorite story, a new book to pursue and add to my hoard, or just a simple human insight. Danse Macabre came to me at an opportune time; given the vantage point I now have, it feels almost inevitable that I would stumble across it. I had just come off the most difficult summer of my young life, having been hospitalized in April of 1981 with what was later diagnosed as compartment syndrome, in my right calf. I had internal bleeding, and my calf was filling up like a balloon with deoxygenated blood, threatening to suffocate my muscles. After emergency surgery, I spent nearly three weeks in the hospital, recovering. I emerged battered, but still able to walk. I spent the summer rehabbing and reading, ravenously devouring whatever I could score from my local library. I remember, among other books, reading Irving’s The Hotel New Hampshire by John Irving, and Dad, by William Wharton. Mostly “literature,” not the genre stuff that I enjoyed so much as a kid. I kept haunting the libraries, and managed to keep pretty current, but somehow missed Danse Macabre for several months after it was first published in April. Remember, this was way before the Interwebs, and way before I knew to look in sources like Locus for forthcoming books. Then, in the fall, I returned to college, and, of course, found myself in need of textbooks, prompting a trip across the quad to Notre Dame’s Hammes Bookstore. I didn’t know it at the time, but I was heading towards a life changing moment. I didn’t see it right away, because I was almost strictly a buyer of paperbacks. But it somehow caught my eye, even though it was shelved spine out, almost as if it had called out to me (book lovers know what I’m talking about). What? A King book I had not yet read? I had to have it, in spite of its lofty hardcover price of $13.95. It was pretty substantial, and it had deckled edges! Deckled edges, fergodssake! I’d tell my folks it was a required text. I went back to the dorm and started to read. And kept reading, much to the dismay of my then roommate, into the wee hours of the morning. Well maybe not as dramatic as all that, but I did have something close to a Joycean epiphany that evening. King’s voice, that compelling voice, heard primarily through fiction up to that point (amazingly, a mere seven books were listed in the “By the Same Author” page at that juncture) got into my head from the first page, cementing me as one of his Constant Readers forever. Here was my teacher, appearing when I was ready, talking in depth and with great affection about the kind of books and movies I had come to love over my first twenty-one years. He proffered keys to the proverbial fictional kingdom, reassuring me that my favorites (among them Harlan Ellison’s short stories, Peter Straub’s Ghost Story and Bradbury’s Something Wicked This Way Comes) were the classics I thought they were, then proceeding to turn me on to a plethora of product that I would spend the next five years or so consuming, with delight. Read The Nightwalker, he said. Read The Fog, he said. Read The House Next Door, he said. Don’t be afraid to take pleasure in movies like The Blob, or television shows like The Night Stalker, he said. They all have worth, he said. Danse Macabre heightened my consciousness, and opened my eyes to a wide world of fiction and film, changing the way I thought about horror films and horror literature, forever. Danse Macabre was at once a guide, a bible, a concordance, and a self-help book. It legitimized something that I held dear, and allowed me to fly my geek flag a little more assertively, a little more proudly. Danse Macabre taught me that one could have a sustained, intelligent, and thoughtful conversation about horror, of all things. Danse Macabre healed my bum leg…no wait, that didn’t really happen. But it did have a profound effect on me. Reading it for the first time was an experience I will never forget, and always treasure. So Mr. King, another three decades have gone by, so, when’s the sequel coming? I for one am ready for another dance. Hank Wagner is a respected critic and journalist. Among the many publications in which his work regularly appears are Cemetery Dance and Mystery Scene. I love this book too for the same reasons. I knew of this book before I read it, but barely. It was in a box of mostly-hardcovers that the old lady who lived downstairs from us gave us. She knew I’d recently discovered the joys of reading. In the box were hardcover editions of both CUJO and DANSE MACABRE. I read it around…oh…14? 15? It was the first “class” that ever really spoke of things I cared about. I agree…a follow-up is due. I went out and found a rare copy of the movie Tourist Trap because he loved it so much. I watched and read everything I could get my hands on after reading Danse. Burnt Offering? I still have that old copy I got after reading how it influenced The Shining! And have seen the movie a hundred times with Oliver Reed and Karen Black. Yes, we need a sequel. DANSE MACABRE, to me, is horribly terrific. And we do need to see a sequel. It would be a blast. Fabulous insight in a book that changed the lives of many people, introducing them to the wide world of horror in both fiction and film. Steve will never know the profound affect he’s had on so many individuals during the last four decades. i read my paperback copy to pieces, bought another paperback, read that to pieces, and finally found a hardback (which might stand up to the constant re-reading). Danse Macabre is definitely my favourite King book (with Duma Key a close second), and just reading this article makes me want to pick it up again. Sequel? Yes, PLEASE. With so much new horror that’s come out in the time since, it’s way overdue. This book was a road map that started me on a wonderful 30 year journey of reading horror and related fiction. Thanks to SK for that. Yes, a sequel would be great. I’m sure SK has thought about this but have never heard of one being in the offing. Will keep fingers crossed though! SK opened up a whole new world for me when he published Danse Macabre–books, movies, authors I’d never HEARD of–what a delight to be introduced to Harlan Ellison, via Stephen King–talk about being wowed. Two books that stand out clearest in my memory, in Danse Macabre, are “The Haunting of Hill House” by Shirley Jackson, and “The House Next Door,” by Anne Rivers Siddons. Mr. King includes Siddon’s commentary on her book and how it came to be, and which made me want to go out and find a copy as quickly as possible. I was NOT disappointed…truly, it’s a “haunted house” story unlike any I’ve ever read.